With 185 days until the 85th Academy Awards, Craig Zadan and Neil Meron have been named producers for the telecast. New Academy President Hawk Koch announced Thursday the duo’s first involvement with the Oscars. The 85th Academy Awards will air live on ABC Oscar Sunday, Feb. 24, 2013. 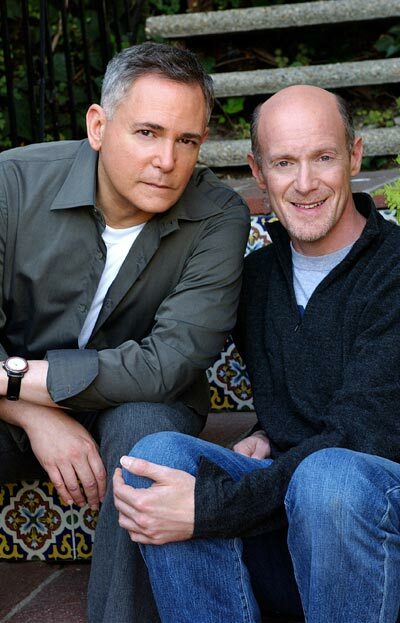 With 185 days until the 85th Academy Awards, Craig Zadan and Neil Meron have been named producers for the telecast. New Academy President Hawk Koch announced Thursday the duo’s first involvement with the Oscars. The 85th Academy Awards will air live on ABC Oscar Sunday, Feb. 24, 2013. "Craig and Neil are forward thinkers who bring a unique perspective to the Oscar show," Koch said in the press release. "Their enormous collective talent, coupled with their love of film, serves our show perfectly." "We are very excited to collaborate with Hawk and everyone at the Academy to produce this year's Oscars," said Zadan and Meron, in the release. "We hope to utilize our experience in producing features, TV and theater to bring something fresh and special to this incredible awards show. When we filmed ‘The Bucket List,’ we made our own personal bucket list, and producing the Oscars was #1. It’s truly a great honor." The producers will get right to work in finding a host for the Oscars, their No. 1 job. Zadan and Meron will work with Koch in selecting an emcee for the Brobdingnagian awards show. Jimmy Fallon was rumored to host, along with Lorne Michaels of "Saturday Night Live" producing. Both confirmed they would not be involved with the Oscars next year. Both Zadan and Meron served as executive producers on the 2002 Best Picture winner "Chicago," which won Oscars in 6 of the 13 categories in which it was nominated. Their credits also include the features "Footloose" (2011), "Hairspray" and "The Bucket List." Zadan also produced the original "Footloose" (1984). Television work for the pair includes the NBC series "SMASH" and Lifetime drama "Drop Dead Diva" as well as TV movies "A Raisin in the Sun" and the upcoming "Steel Magnolias." On Broadway, they recently produced the Tony Award-winning revivals of "How to Succeed in Business Without Really Trying" and "Promises, Promises." Their work has amassed 73 Emmy nominations 12 Tony nominations and seven Grammy nominations. What do you think of the selection? Who would you recommend to them to host the Oscars? Do you think it will be a musical host?